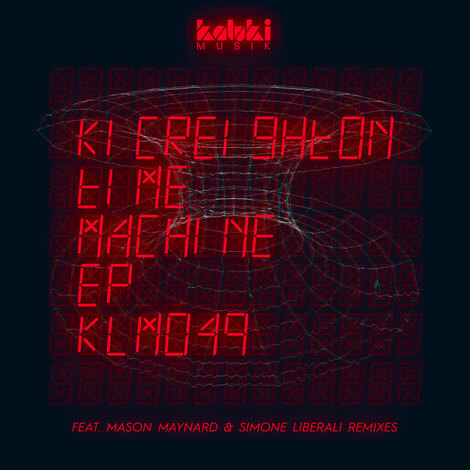 Ki Creighton joins the Kaluki Musik roster this January with his ‘Time Machine’ EP, backed with remixes from Mason Maynard and Simon Liberli. 2017 saw Ki land at number nine in Traxsource’s top 100 Tech House artists of the year as well as releasing material on labels such as ElRow Music, Circus Recordings and 8Bit amongst others, and playing shows at events across the UK such as The Warehouse Project, Circus Liverpool, Shindig Newcastle and further afield at Heinz Gaul in Cologne, Germany. Here Ki kicks off 2018 with some fresh material on the Kaluki Musik imprint, setting the tone for what to expect from him throughout the year. Title-track ‘Time Machine’ leads with undulating bass grooves, swinging stab sequences, acid blips and tension building strings running alongside shuffled drums before Mason Maynard’s remix shifts the vibes over to skippy vocal cuts, filtered rhythms and a bulbous sub bass groove throughout. ‘Blindfold’ sees Kreighton deliver a darker contribution with a heads down drum groove at the core of the composition as vocal utterances of the track title keep you hooked and resonant synths unfold and retract throughout. Simone Liberali then rounds out the release with his rework of ‘Blindfold’ stripping things back to a bumpy, off-beat bass line and billowing vocal murmurs tucked behind the drums.